It's undeniable that getting documents like passport and visa, you are required to go through a very lengthy procedure, which is time taking as well. 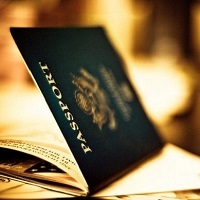 Based in Lucknow (Uttar Pradesh, India), we are actively engaged in offering unrivalled passport & visa services all over in India and in international locations. We are supported by a team of skilled and experienced professionals with us that has complete know-how and years of experience in this domain. It has been our track record of offering excellent services to our clients, thereby, acquiring satisfaction from their end. All of you can avail our services at the most economical rates without burning holes in your pockets. Plus, we assure you that acquiring these documents will be no more a time-taking process with us. So, stop pondering much, pick up your phones, and drop a line to us immediately.